Yes. This blog entry is pretty much a self-mockery of my stupidity. To be fair to me… nope there’s no excuse. Hahahaha! So, meet one of my lippies, the Nyx Jumpo Lip Pencil in Hot Red (704). 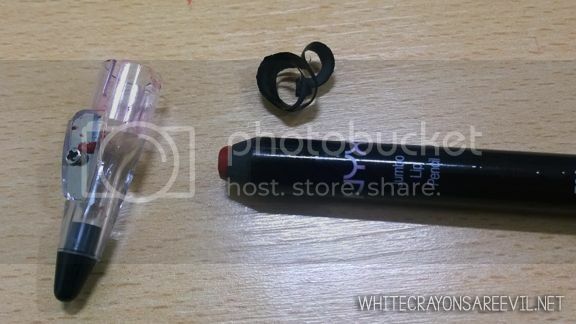 I used this as an alternate to my Nyx Matte Lipstick (Pure Red). Even if the lip pencil does not leave a matte finish, I still adore its color and amazing pigmentation. For a long time now, I stopped using this because I thought that I already finished it. The pencil’s not retractable, so I thought “Meh, I already got my money’s worth”, since this is SUPER pigmented and I only need little to fully cover my lips. Then I started shopping for some lip pencils at BeautyMNL. In every two MeNow lip pencils I buy, BeautyMNL gives me freebies. They gave me a pencil sharpener. It made sense to give me a pencil sharpener since I am buying lip pencils. 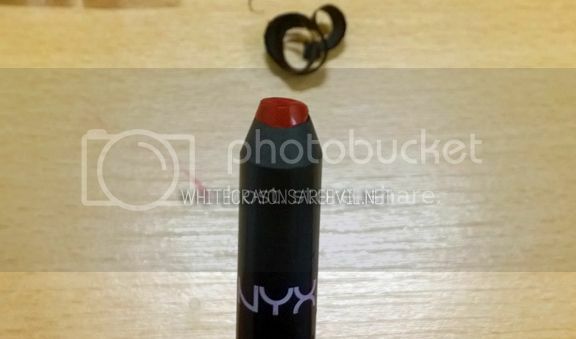 Then I remember my much-adored Nyx Jumbo Lip Pencil. Can I actually sharpen it? GAAAAWD I FEEEL SOOOO STUPPPIIIID!!!!!!!!! The Nyx Jumbo Lip Pencil felt very plastic-y so I really thought I couldn’t sharpen it. Well, we learn something new everyday… right? Guys?